Lately I have been thinking about making my camera bag lighter. I have a lot of big cameras and lenses. When I bought my Canon 5D Mark IV I did not even get the battery grip for it. It is a camera that I have a lot around my neck and I wanted it to be a bit lighter. For an upcoming trip I decided to dive into the mirrorless world. The Sony RX1 II was not my first choice, but it would be allowed into the festival that I will be attending, and it has the same sensor and many features of the Sony a7R II. This is a full frame 42 mp camera that fits into the palm of my hand! How is that even possible? 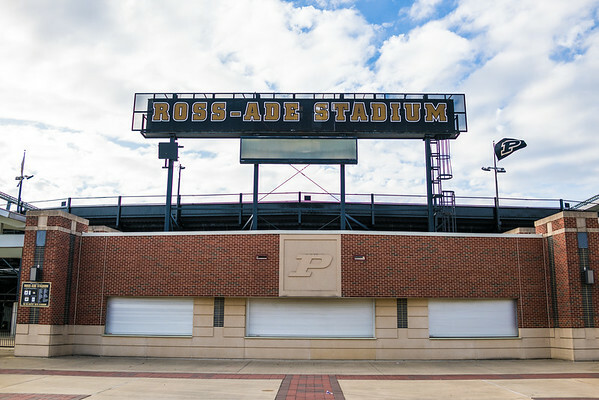 I wanted to test it out so I went for a walk around the campus of Purdue to try and find some situations to put it to the test. 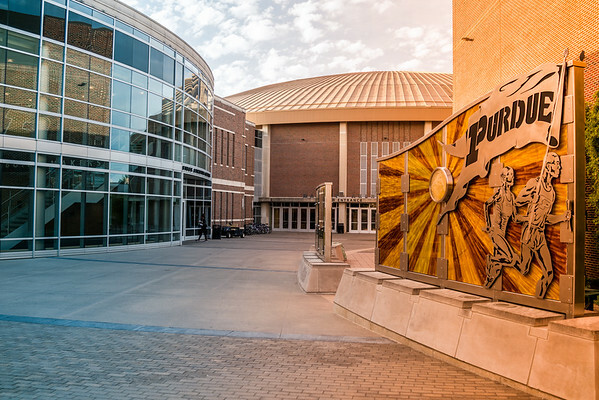 This is a shot that I have made on the opposite side of Mackey Arena at sunset a few times. I was very interesting in how the dynamic range system on this camera worked. I read a lot about it boasting just how much data this camera could retain. 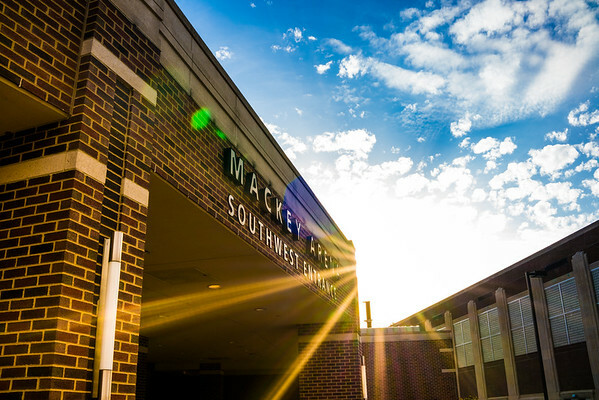 A simple test is this one shooting into the sun with part of the building in the shade. While not everything that my eye could see is here in this shot a lot of detail is here. I purposely did not bracket anything just to see what this thing could do without me combining exposures. The camera did much better than I thought that it would. I am not much on shooting with the LCD screen. I am most comfortable with the camera up to my face and my eye in a viewfinder. With the pop up viewfinder I can do that. What is cool about this camera is the fact that it has a tilting LCD screen which has many great applications. Normally for the shot above I would have to lay on the wet ground or just point and guess at what I was shooting. With a camera in my hand as much as it is I am pretty good at guessing what I am pointing at. For a tight frame though it was nice to just tilt the LCD screen to see exactly what I was aiming at. I know there are many reasons they don’t include these on ‘pro’ cameras, but they would be nice to have. This camera has a fixed 35mm f/2 Zeiss lens on it. I have never used Zeiss glass before, but I have heard great things. When shooting something with 42mp you need a good piece of glass in front of the sensor in order to get all of that detail. Honestly I have not pixel peeped enough yet to say what I think about the combination. Looking at my images quickly at 1:1 I was very impressed with the detail I could see. A good low light test will let me know a little more. This has nothing to do with the test, but just something I realized on my walk. 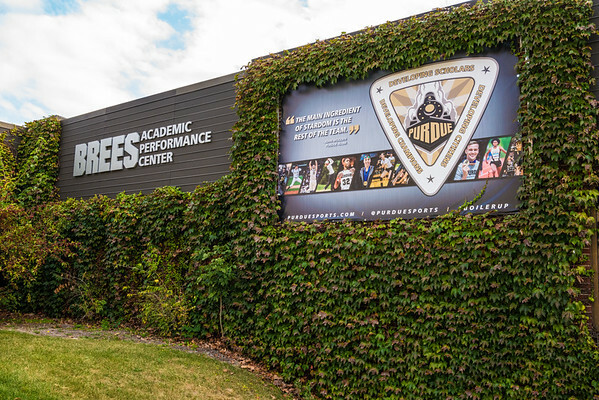 I have a couple of images on the side of the Brees Academic Performance Center. For me this is an awesome thing. 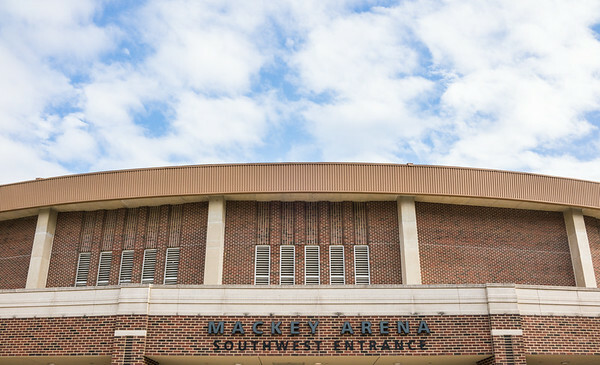 As a fan walking down to Mackey Arena from the parking lot I used to daydream about my images being used there. To walk by and realize that a couple of them made it was a pretty cool moment. Of course I had to stop and make a photo of the scene. Let me just start off with the con for this camera. It is a $3,300 fixed 35mm point and shoot. I knew that going into this thing. Even if this is the best festival camera that I have ever used I couldn’t justify $3,300 for it. Renting is a great option that I will do again if the time comes where I want to try this thing again. One con that I kept reading about was the horrible battery life. I walked around for a while with the camera on and my finger hitting the shutter button just enough to keep it awake. I had good battery life the entire time. When I am in a festival grounds all day with no charger I will have a better say I bet on that. Here are the many pros that I found on the walk. Of course first of all was the size. No large bag needed. Just the strap around my wrist as I walked. The camera controls were easy to find on the outside of the camera, and they made changing settings very easy. 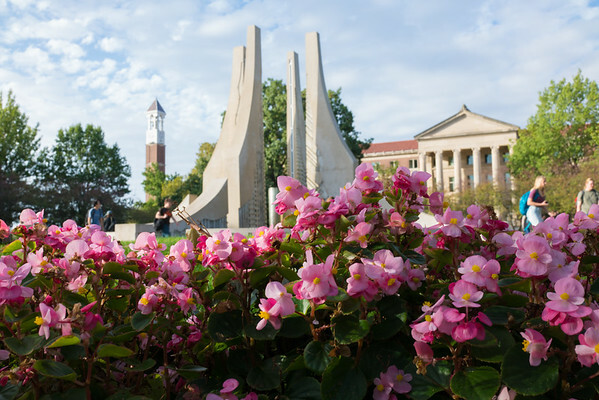 Just during my quick walk around campus I could not find much wrong with this camera. This image quality was great, and a 42mp point and shoot that I can manually adjust exposure on sounds like a dream going into the festival. I will have a much better sense of what the camera can do when the weekend is over.